It wasn’t until recently that I got the appeal of stools for kids, always thinking that they played second fiddle to chairs, but their cool aesthetic combined with the fact that they are multi-purpose has sold me. Come and have a look at some of the coolest stools we’ve found for the tiny people in your home. These days we expect much of our kids furniture to be multi-purpose. It makes both financial and environmental sense to have something that can be used for many years, and the B-Line Snoop stool (pictured above) fulfils many roles. It is not just a stool, but also a low table with built in storage (great for colouring in), or, stacked together, makes a great kids bookcase. Made from moulded polyethylene, with rounded edges, it is the ultimate in kid-friendly furniture. 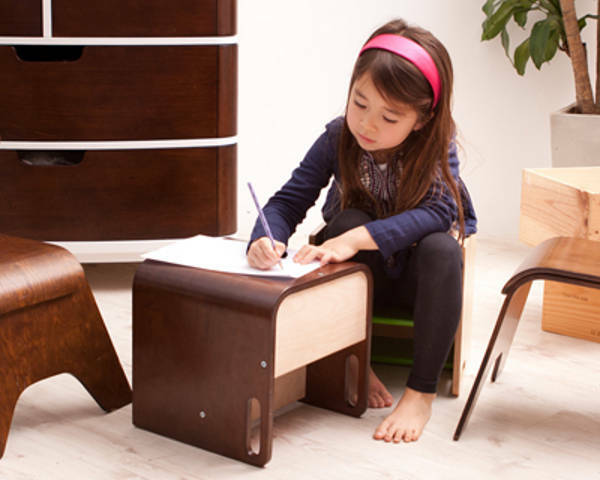 The ErgoErgo kids stool is ideal for those kids who just can’t sit still. The ErgoErgo works on the same premise as stability balls, allowing the body to rock in any direction, improving strength, stability and focus. 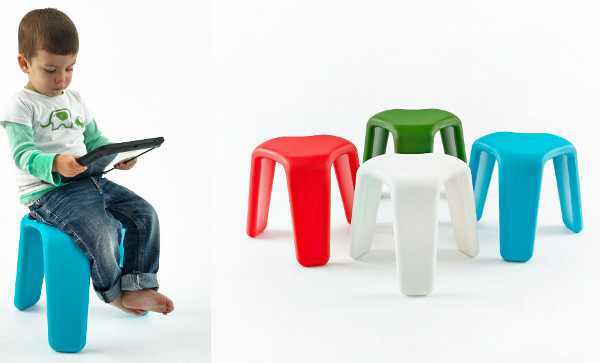 What’s more, the ErgoErgo kids’ stool comes in a rainbow of colours and looks super cool. We love the innovation that is the Toronto stool by Spanish design studio IN-TENTA. 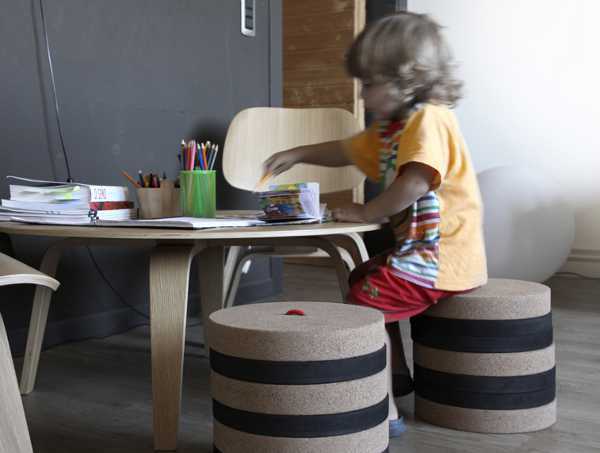 Made from foam and cork, the ingenious Toronto stool grows with your child, and the pieces can also be used as toys, making stepping stones and all manner of other creations. The gorgeous Toronto is stable, lightweight and neutral, meaning it will be at home in any room in your house. 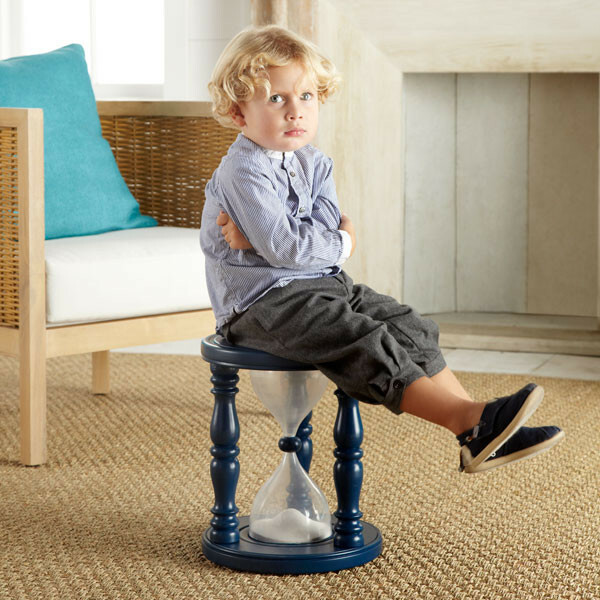 Remember this great multi-purpose Time Out Timer Stool? The hourglass stool is filled with white sand to time five minutes. While it may not be your kids’ most favoured seat if used for time out, the stool could also serve as a timer for sharing turns on the iPad or as a great visual queue for the last five minutes before bedtime. For the ultimate multi-purpose piece of kids furniture, check out the Bloom Pogo. It’s a three in one step stool, table and toddler seat, and it is also a very attractive piece of furniture. Formed from brentwood, it comes in several different colour options for a pop of brightness. 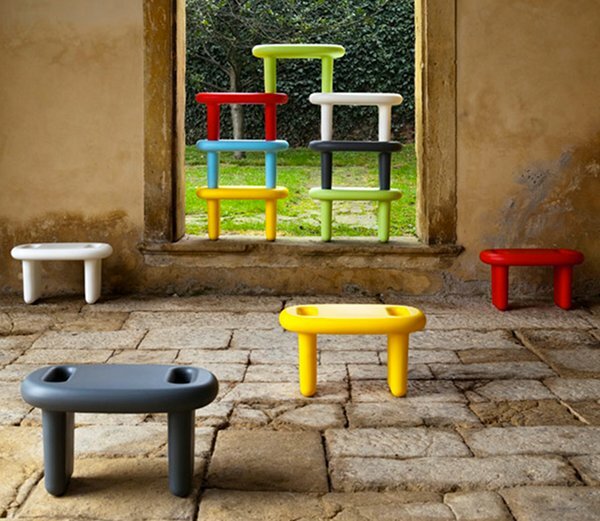 For designer cool it is hard to go past the Launch Junior stool. Modelled on the award winning Launch stool, the Launch Junior is a single piece construction with no sharp edges, is UV resistant so it can be used outside, has not slip feet and is stackable. It’s available in a choice of four colours to suit your own style and decor. Every home with a toddler residing in it needs a step stool, and the Animal Stools from Pop-Pops Furniture Co are just gorgeous and are so far removed from the standard plastic bathroom steps. 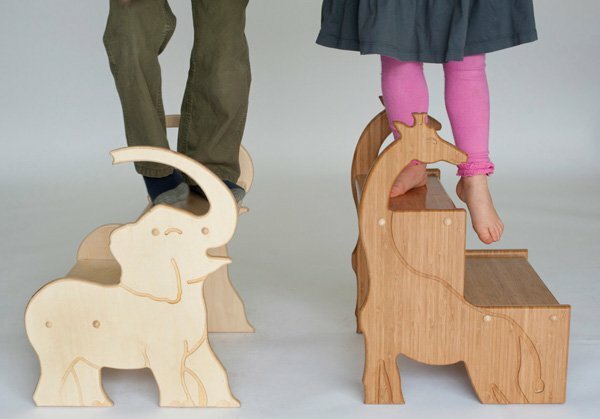 The animal stools and dinosaur stools are made from either birch ply or bamboo and finished with clear varnish. Taking multi-functional to a new level is the Pally stool. 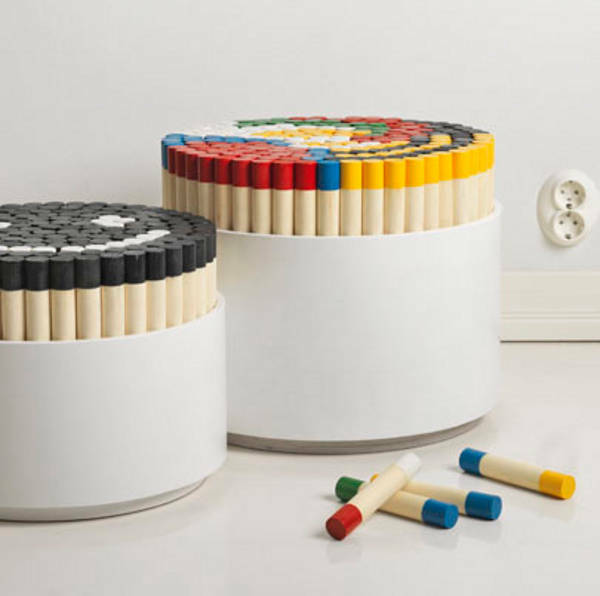 Made up of coloured, flat topped sticks which can be moved around into a host of different designs, this stool is not just a seat but entertainment as well – perfect for the little designer in your house.